Southern Utah University freshman Aidan Reed has qualified to be a member of the U.S. Junior National Cross Country Team. He placed fifth at the USATF XC Championships in Bend, Oregon. Reed ran a 26:19.9 in the Junior Men’s 8KM. 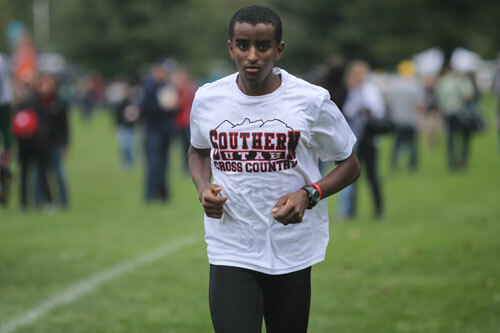 As a freshman during the cross country season Reed had an immediate impact for the Thunderbirds. His first year with the team culminated in his earning the title of All-Conference athlete by finishing 10th at the Big Sky Conference Championships. As a result Reed will have the opportunity to represent Team USA at the 2017 NACAC Cross Country Championships in Florida on March 4 and the 2017 IAAF World Cross Country Championships in Uganda on March 26. Reed was joined in the top-five by fellow collegiate athletes Paul Roberts (Colorado State-Pueblo), Hamza Ali (Minnesota) and Gavin Parpart (Washington). SUU has had several athletes be able compete this way for Canada, but this is the first time they will have someone competing like this for Team USA. For all things SUU cross country and track & field follow @SUUTrackandxc on Twitter and Instagram and like the Southern Utah Track and XC page on Facebook.